SequelMed offers electronic health record (EHR) system solutions for medical practices, hospitals, and health organizations. Though the company offers multiple products, its EHR solution combines documentation, billing, and scheduling management functions. SequelMed EHR is ideal for practices seeking an end-to-end solution capable of maintaining compliance with HIPAA and governmental regulations. 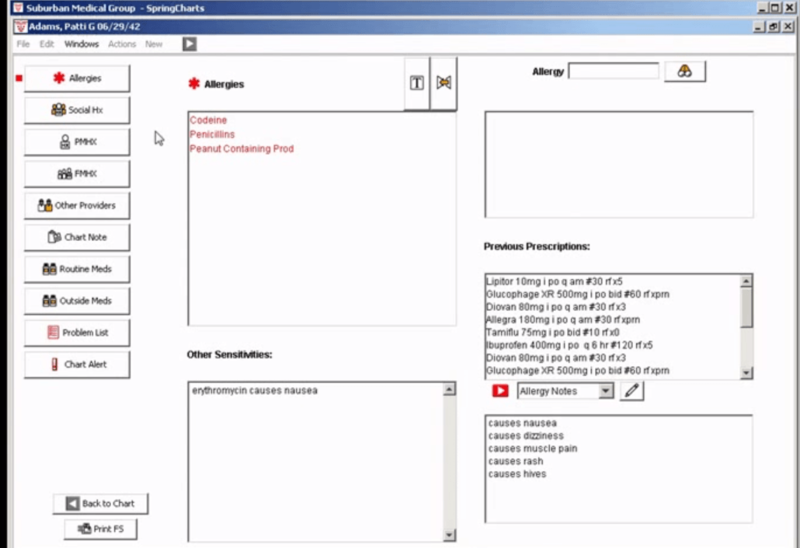 SequelMed EHR is unique because it is capable of automating tasks, optimizing workflows, and increasing practice-wide efficiency. This program is compatible with many Patient Portals and practice management programs, and allows information exchange between practices and ancillary services. Unlike other EHR solutions, SequelMed EHR supports more than 25 specialty practices and includes tools specifically designed for inpatient and outpatient settings. The program’s patient record management and clinical documentation tools help practitioners reduce errors, accurately document patient encounters, and communicate effectively with other providers. SequelMed EHR program enables physicians, nurses and support staff to securely send messages and share information without extraneous administrative tasks. SequelMed EHR has helped many practices improve patient care, increase efficiency, and optimize operational procedures. One of SequelMed’s earlier customers, Dr. Louise Raminfard of New York, was searching for an efficient, powerful, and easy to use electronic health record solution. After implementing SequelMed EHR, Dr. Raminfard noticed a significant increase in practice efficiency. Dr. Raminfard’s practice was able to streamline their workflow and patient referral processes. Unsure if SequelMed EHR is the solution for you? Find EHR systems that better match your needs with our SmartAdvisor. Learn everything you need to know about SequelMed EHR. Our experts will reach out to you shortly.